Los Cristianos is situated 15 kilometers west of the southern airport (Reina Sofía.) and is without a doubt one of the most popular resorts on the island of Tenerife. The man-made beaches are very well maintained and it has a wonderful harbour that offers fishing trips, pleasure cruises, glass bottom boat excursions, diving opportunities and from here you can catch the ferry to visit the neighbouring island of La Gomera. 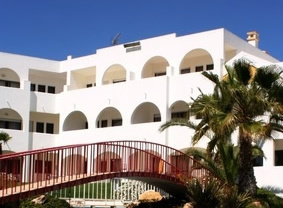 The resort has a range of accommodation the majority are self catering apartments and studios, there are several good hotels up to 4 star standard offering a variety of board arrangements including all inclusive. Los Cristianos tends to attract a slightly older holidaymaker in comparison to Playa de las Americas and has managed to keep a little of its original architecture although this is hard to find amongst some of its recent development. What you will easily find is year round sunshine and a choice of pubs, clubs, shops, restaurants (Spanish, English and German) and a fairly relaxed nightlife. The nearby Aquapark Octopus is a must for any family plus the Tenerife Zoo and the Eagles Park are also within easy reach of Los Cristianos. There are plenty of different restaurants to choose from at Los Cristianos, All tastes are catered for from a 'full British' breakfast to fine dining at its best. The nightlife in Los Cristianos is much more relaxed, it is best suited to people who prefer a quiet night at the waterfront, rather than a lively one. You can sit back and enjoy some live music entertainment but if it is a more lively night that you are looking for then there Playa de las Americas is a short taxi ride away.